Stunning, easy playing short scale guitar built in Germany! 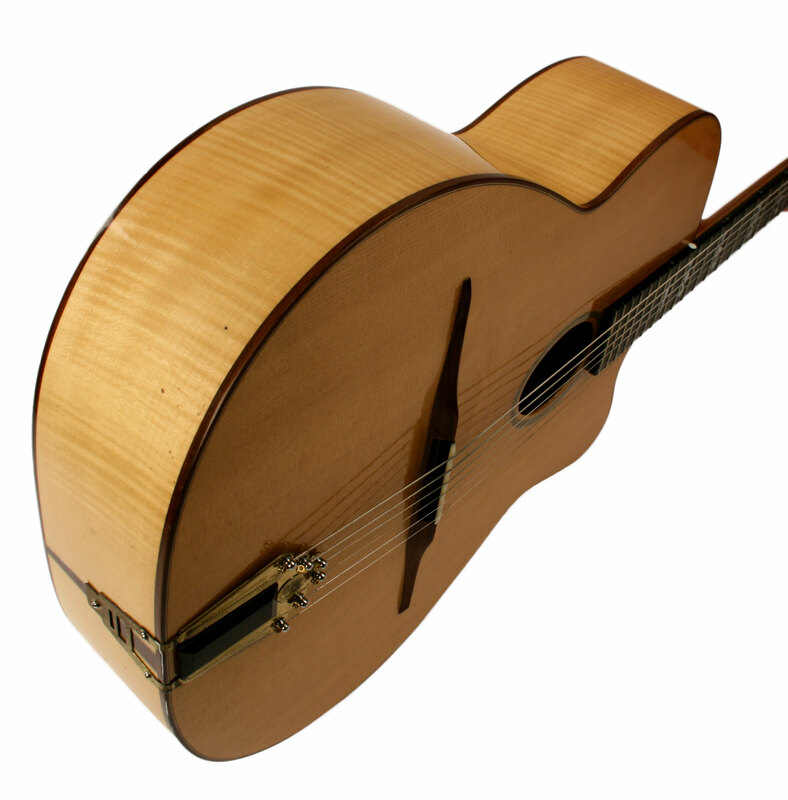 This exquisite, one-of-a-kind instrument was built by the renown German classical guitar maker Georg Gose. Georg pulled out all the stops when building this guitar, using his finest woods and embellishing it with ornate mother of pearl inlays. 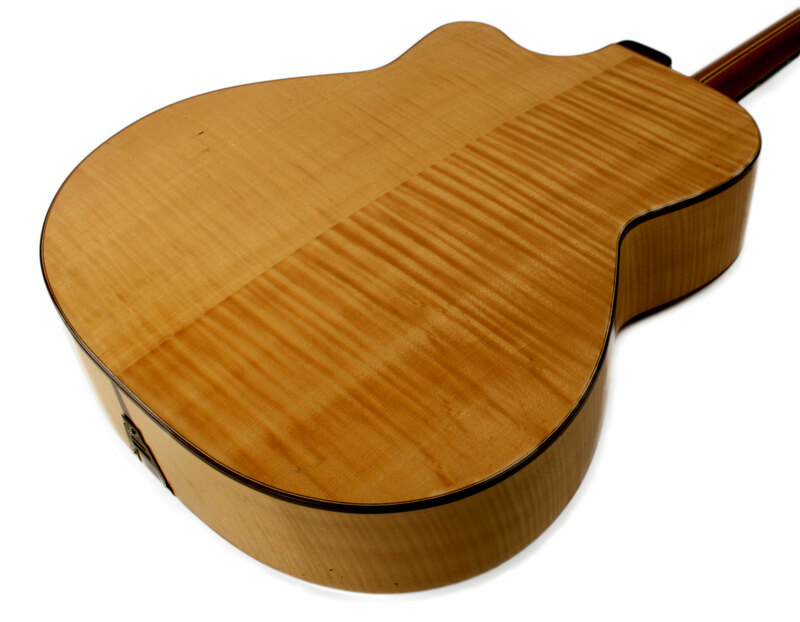 The top is made of aged spruce, the back sides are solid flamed maple, and the five piece neck is constructed of walnut with dual maple splines. 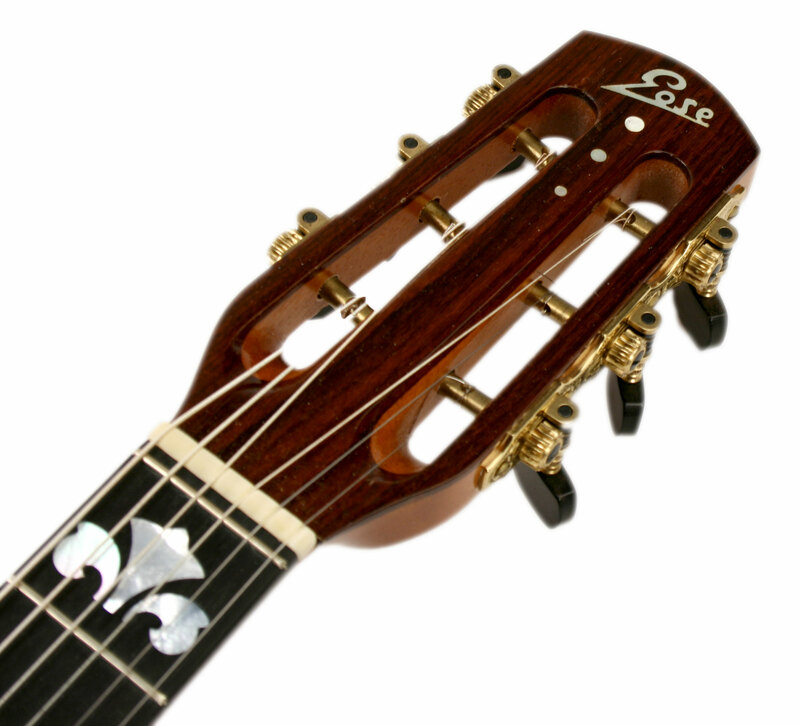 It has a large, 16 1/2" Favino style body that is joined with a shorter, 660mm scale neck. The result is a rich, incomparably warm guitar that has a thick and complex midrange, a voluminous bass, and gently rounded highs. Additionally, the short scale length and rock bottom 2.4mm action make it feel more like a fast playing archtop then a typical Gypsy guitar. 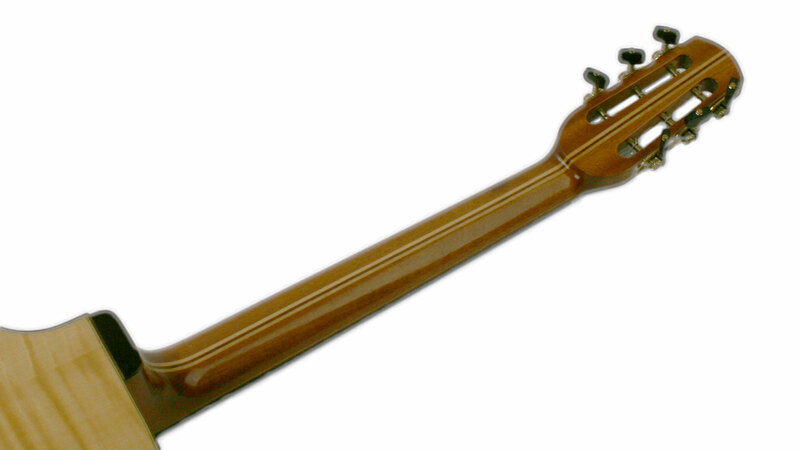 The condition of this instrument is excellent, with just some light pickwear and mild fretwear. 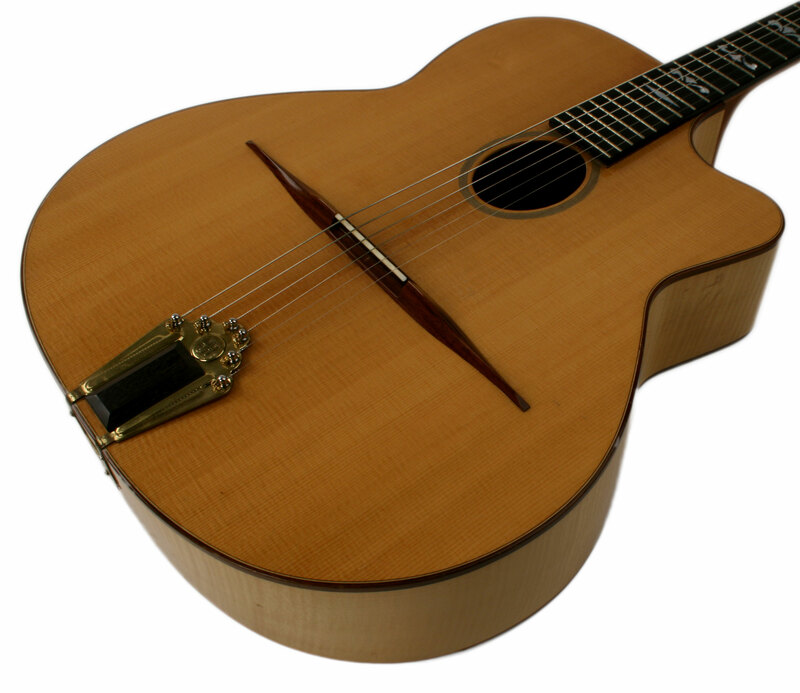 This is a wonderful guitar for someone who is looking for an alternative to typical Gypsy guitars which have longer scale lengths and higher action. 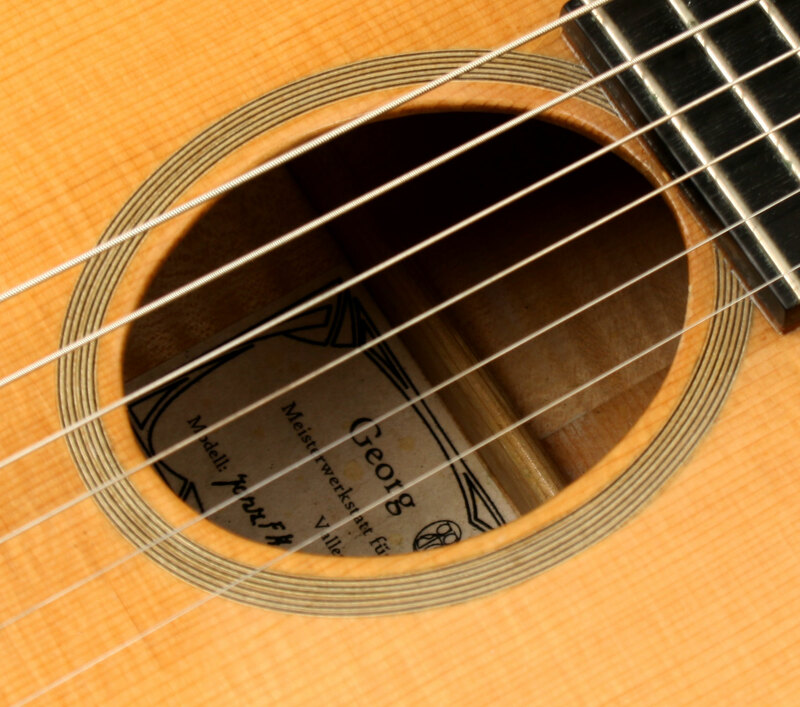 This meticulously constructed instrument not only plays like butter, it features high quality woods and details that are typically only found on high priced custom models. Treat yourself to flagship performance at an affordable price!